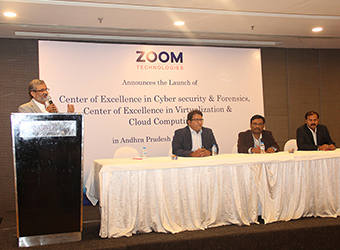 Mr. Noble, Managing Director, Zoom Technologies, announcing the launch of the Center of Excellence at Vijaywada. Sri. Palle Raghunatha Reddy, Hon'ble Minister for IT, Andhra Pradesh, accompanied by Mr. Noble, examining the state of the art network equipment rack. 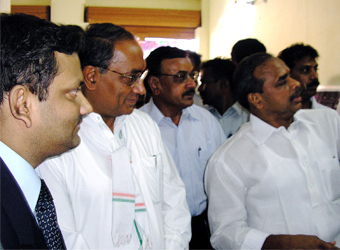 Former Chief Minister Late Dr. Y. S. Rajashekar Reddy and former Chief Minister of Madhya Pradesh Sri Digvijay Singh with Mr. M.H. 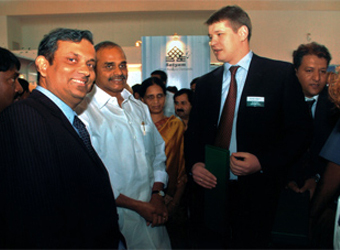 Noble at the inauguration of Data Centre, Gollapudi, Vijayawada on 9th August, 2004. 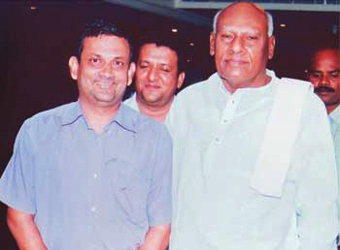 Former Chief Minister of A.P., Late Dr. Y.S. 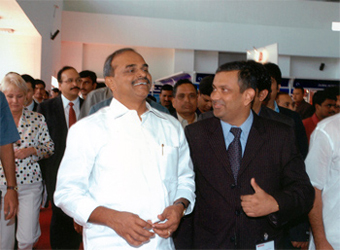 Rajashekar Reddy, Mr. M.H. 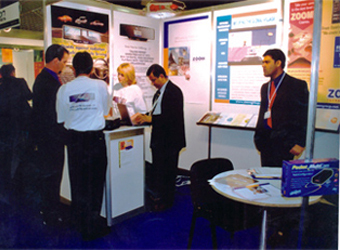 Noble at Anti Virus Launch in India in 2006. 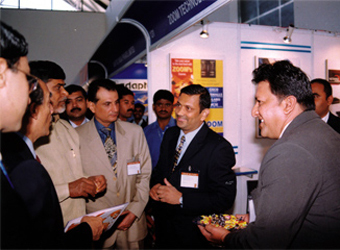 Mr. M. H. Noble in conversation with the Former Chief Minister of A.P., Late Dr. Y.S. Rajashekar Reddy. 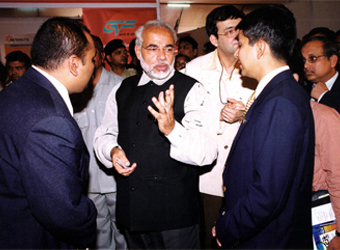 Gujarat Chief Minister Mr. Narendra Modi in conversation with Zoom Staff at IT exhibition in Ahmedabad, Gujarat. 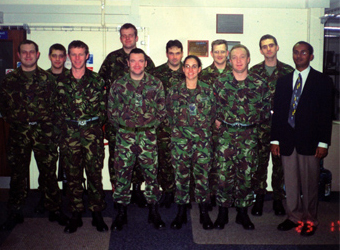 Former Home Minister Sri Devendra Goud inaugurating the first Secure VPN in India between Hyderabad (India) and Lausanne (Switzerland), Dec. 1999 at Zoom. 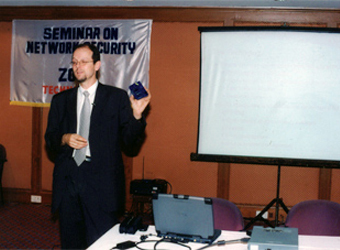 Mr. Daniel, Vice President, Lightning (Switzerland) launching Security Solutions 1998 in India. 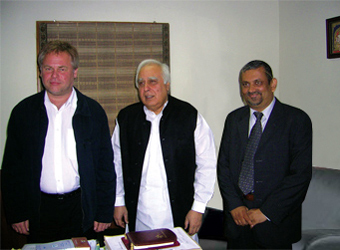 Kaspersky Product Launch 2005 in India. (Left to Right): Diana Melkumyan- Deputy Director Business Development of Kaspersky, Alexey Gromyko - Head Operations South-East Asia of Kaspersky, and Mr. M.H. 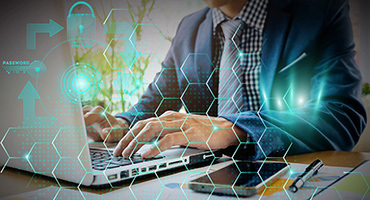 Noble - MD Zoom Technologies.